Learn how to colorize black and white photos like a pro using the world's premier free image editing software! Color can make a big difference in the impact an image can make. Those old black and white family photos can take on a new meaning when color is added. 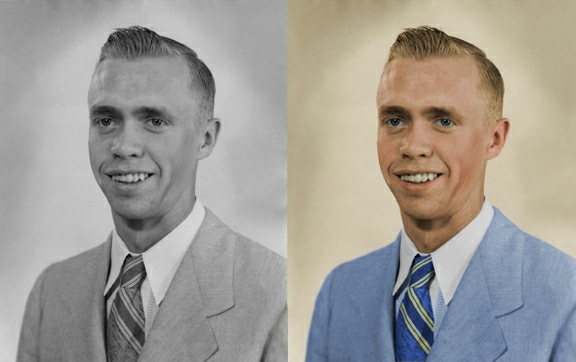 GIMP is the ideal tool for colorizing black and white images. 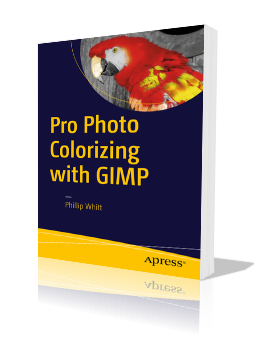 Pro Photo Colorizing With GIMP is the perfect companion book to Beginning Photo Retouching and Restoration Using GIMP. This book takes an in-depth look at adding color to black and white images. It also teaches how to add artistic flair, as well as achieving and old fashioned, hand-tinted look. Pro Photo Colorizing With GIMP is the perfect guide; it provides step-by-step instructions to show you how.